Saves Agile PLM users time with a remarkably sleek Web UI which defines rules for Variant Management as well as creates Variants using these rules. 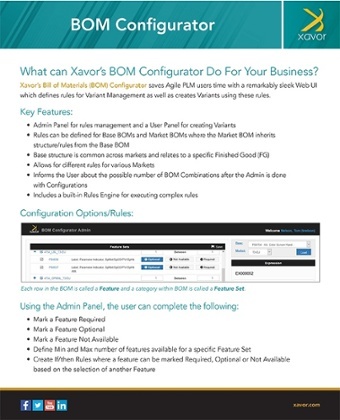 What can Xavor’s BOM Configurator Do For Your Business? 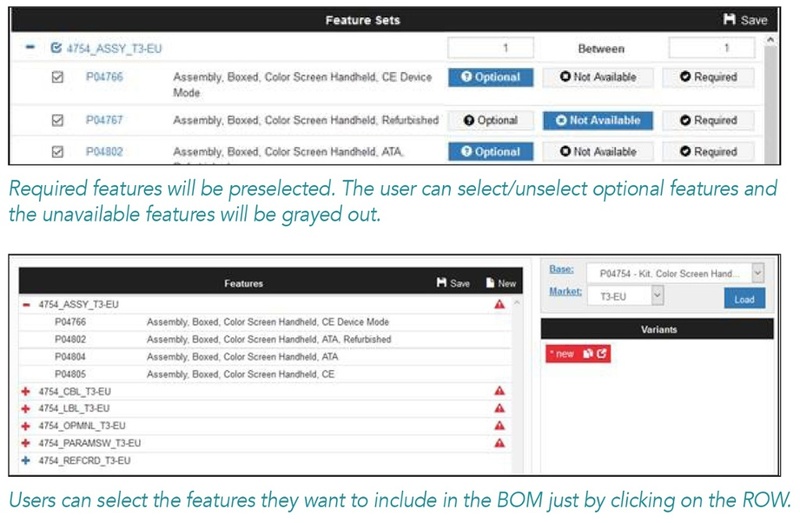 Xavor’s Bill of Materials (BOM) Configurator saves Agile PLM users time with a remarkably sleek Web UI which defines rules for Variant Management as well as creates Variants using these rules. Expressions are if-then Rules. When using Expressions, the user can relate rules to other features in the BOM. Expressions can have a Global scope (throughout the BOM) or Feature Set Scope (within the same category of the BOM).